Azealia Banks, born Azealia Amanda Banks May 31, 1991, in Manhattan New York, is a product of her environment! 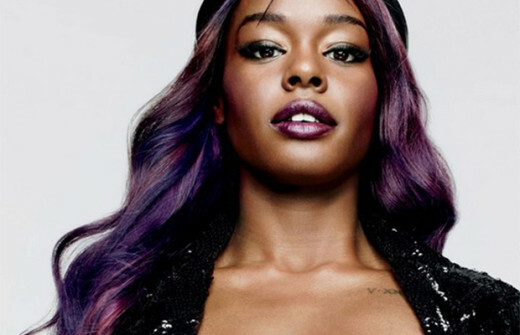 According to her Wikipedia biography Azealia comes from an abusive home in which her mother, following her father’s death, “became really abusive both physically and verbally” towards her and her sisters She is quoted saying “Like she would hit me and my sisters with baseball bats, bang our heads up against walls, and she would always tell me I was ugly. I remember once she threw out all the food in the fridge, just so we wouldn’t have anything to eat.” If that isn’t a “broken home” i don”t know what is. With that being apart of her “history” its no wonder this girl is on the constant prowl for attention! If you haven’t watched the HBO lemonade special as yet, nor have you hypnotically subscribed to Tidal to listen to the album of the same title, then you must live under a rock or maybe you’re becky!!!! The internet has been buzzing since Saturday with suspicion ever since bey dropped this line “He better call Becky with the good hair” that cheeky and direct line she spits at the end of the song “Sorry” made Twitter, instagram and the internet on the whole crazy with the Becky memes, quips, anectotes and jokes, but that’s only the normal people that didn’t take the line too serious, the beyhive on the other hand did what most of these stans, i mean fans tend to do and started bullying all the usual suspects and even some unsuspecting ones, but with the beyhive the only untouchable person on the planet is Queen Bey herself and maybe Obama! If there is one loyal group of fans on this planet it is the “beyhive” and if you cant afford the most toxic insect repellent, then i suggest you jump int a body of water, everybody knows bees cant get wet! The beyhive will come for you if you say even the slightest thing deemed negative of miss yonce’ just ask Kid rock, he got out the insect repellent and still go stung! 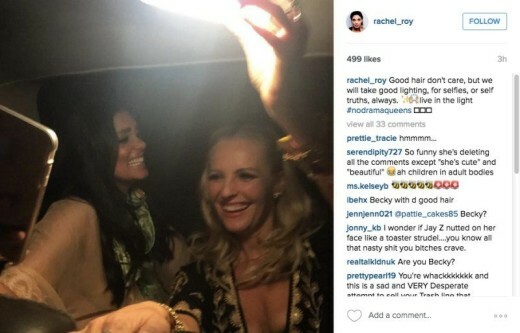 Rachel Roy was no exception as a matter of fact no one on the witch hunt list was! Y’all all remember the infamous Elevator fight where Solange went H A M on Jay’z for allegedly flirting with Roy at the Met Gala and Roy has since denied those allegations, however that didn’t stop the beyhive from going in on her once “Sorry” dropped,but Roy fueled the speculation by posting this on her Instagram which has since been deleted. The ‘hive wasted no time in letting her know how they truly felt. The “Body on me” singer was not exempt from the sting. 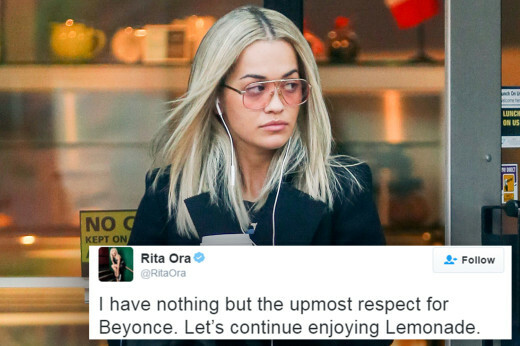 Last year was a crazy year for Ora who had several touchy moments with Bey’s husband, enough to have gotten her stung from the hive for hugging him at the Met Gala Ball and for being rumored to have hooked up with Jay after she was signed to RocNation, but Rita has always denied those rumors, but this was not why the hive was attacking her now it was because she posted this pic on her instagram. The hive had it all wrong though, because this picture was posted days before the world had heard about lemonade. 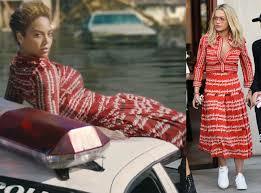 to add insult to injury, ora was seen on the scene wearing the same Givenchy dress Bey wore in the documentary! I think she should have consulted with the beyhive before making this very “smart” decsion. Ora has since responded to the rumors saying ‘I never usually address tabloid gossip but let me be clear, these rumors are false,’ she tweeted I have the utmost respect for Beyonce. One thing is for sure the Beyhive may not be the best source for factual information,but they are surely loyal! So for the sake of false accusations and the entire Hollywood industry becoming extinct, dying from bee stings, will the real “Becky with the good hair” please stand up! Aussie rapper Iggy Azalea is blaming the media for trying to stir up a beef with singer Britney Spears! Some believe she was trying to throw shade at the Ms. Spears the other day, which caused the 90’s singer to have a comment of her own to share. However, Azalea was NOT having it and she quickly took to Twitter to give people a piece of her mind.